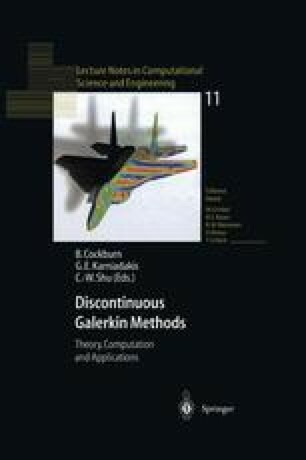 An hp—adaptive conservative Discontinuous Galerkin Method for the solution of convection-diffusion problems is reviewed. A distinctive feature of this method is the treatment of diffusion terms with a new variational formulation. This new variational formulation is not based on mixed formulations, thus having the advantage of not using flux vairables or extended stencils and/or global matrices’ bandwidth when the flux variables are statically condensed at element level. The variational formulation for diffusion terms produces a compact, locally conservative, higher-order accurate, and stable solver. The method supports h—, p—, and hp—approximations and can be applied to any type of domain discretization, including non-matching meshes. A priori error estimates and numerical experiments indicate that the method is robust and capable of delivering high accuracy.